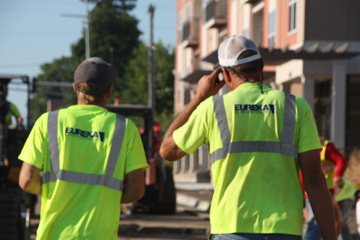 Safety | Eureka Construction, Inc.
A policy manual is provided to employees of Eureka Construction, Inc., its subcontractors, suppliers and customers. 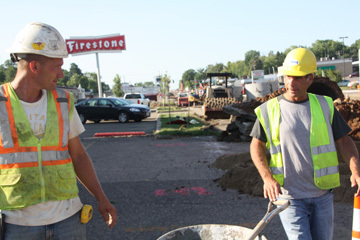 It is our policy that every employee is entitled to work under the safest possible conditions at all times. We have devised a clear and positive program to strive for a safe and accident free environment for our entire workforce. Every conceivable effort will be made by those directly or indirectly involved in accident prevention and the elimination of hazards in our workplace. It is a condition of employment that all employees adhere faithfully to the requirements and safety rules, instructions and procedures as outlined in their policy manual. Accidents can be prevented. It is up to our employees to share this responsibility. With teamwork and ongoing communication with our employees, our goal to reach an impeccable safety record can be achieved and maintained.